Sort the data: click on a column header. Hide or show columns: right-cick on a column header. 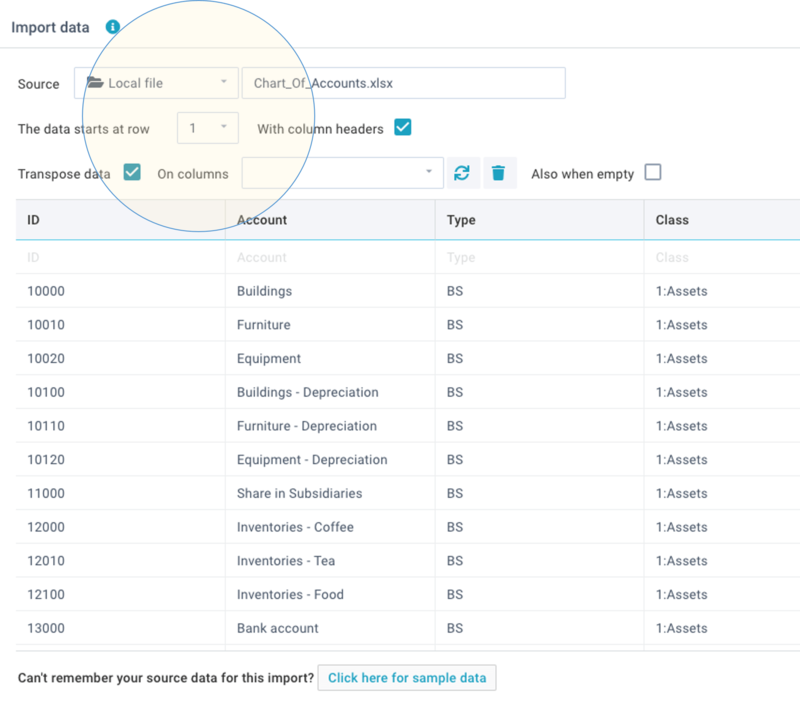 Filter the data: use the dropdown fields in the column headers. Click on XLReporting in the left-top of the screen to minimize the menu area and maximize the model area. Clicking again will restore it to the way it was. If you experience any issues with scrolling in models, change your browser settings. Click on the Save button if you want to save your changes. If the data has been succesfully validated, it will be imported into the XLReporting database. If there are any validation issues, XLReporting will report these on the page. No data will be imported. After you have resolved these issues, you can click Save again. Click on Actions - Import from file to import data from a file. This will replace all existing data. 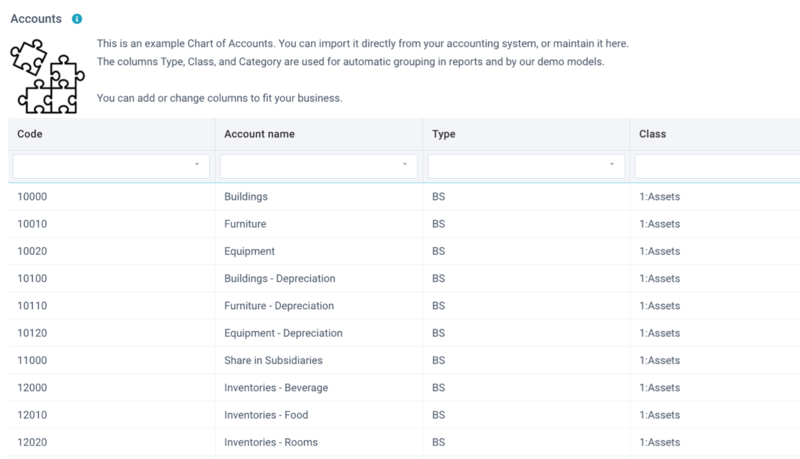 If you selected an Excel workbook, you will be able to select which sheet within that workbook you want to import. You can also indicate at which row the data starts (enabling you to ignore empty or title rows in files) and whether your file contains column headers. The header names in your import file must correspond to the column names in the data set. 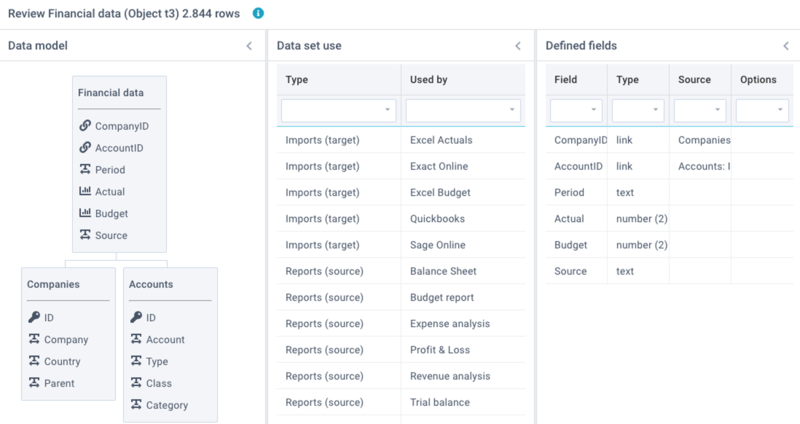 Once you have reviewed the data, click on Apply and the data will be imported if all column headers match. If they don't, XLReporting will tell you which columns are missing in your import file. If you have to edit lots of data, it is sometimes faster to do this in Excel: click on Action - Download to file, edit the data in Excel, and then click Action - Import from file to import it back into XLReporting.